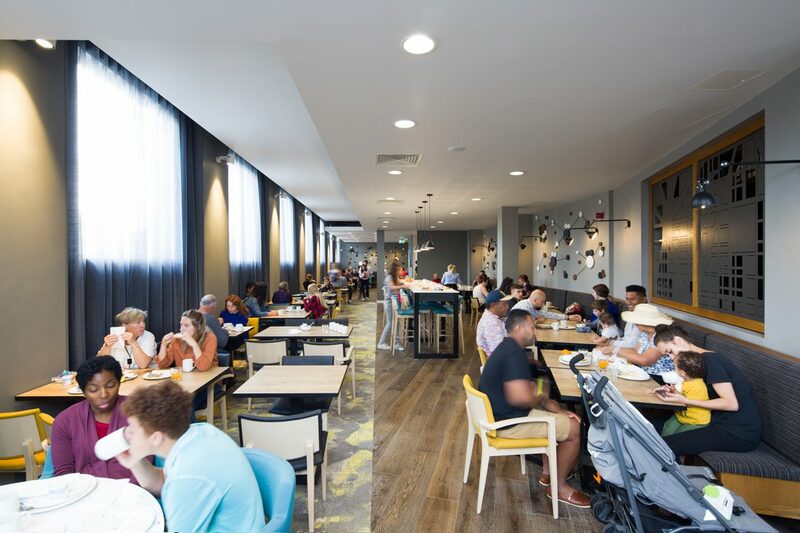 Another success for our specialist hotel interior design and modular delivery teams. 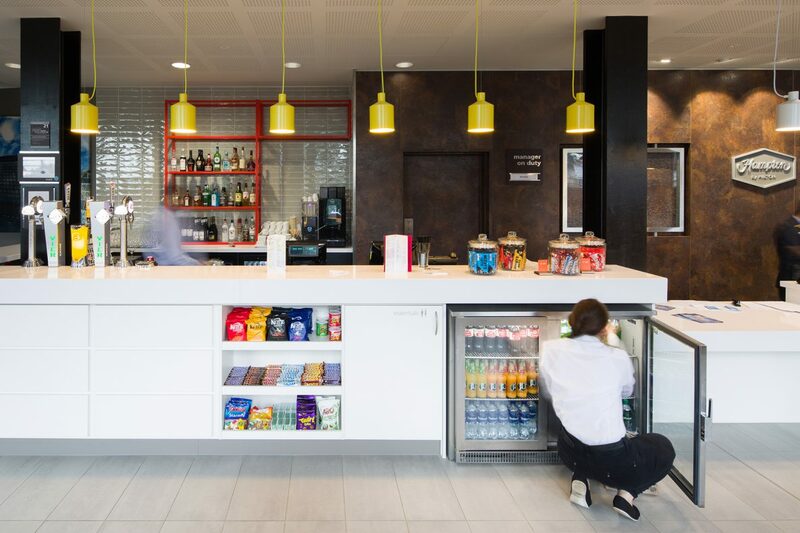 Designed to serve delegates at the nearby ExCel international exhibition centre, the 209 bed Hampton by Hilton London Dockland is the second CIMC modular hotel project we have completed in 2017. 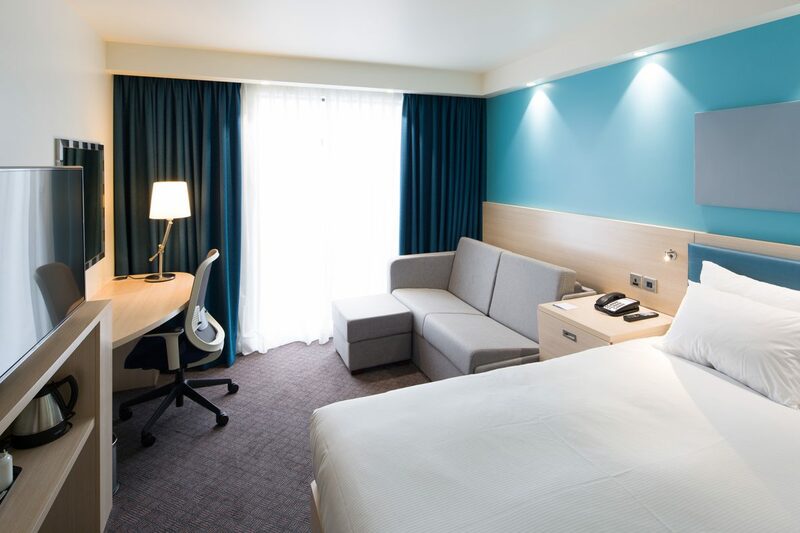 Similar to the Hampton by Hilton at Bristol Airport, the bedroom modules are fabricated using offsite modular construction. Produced in China, these can then be shipped to the UK and assembled in as little as 3 weeks. 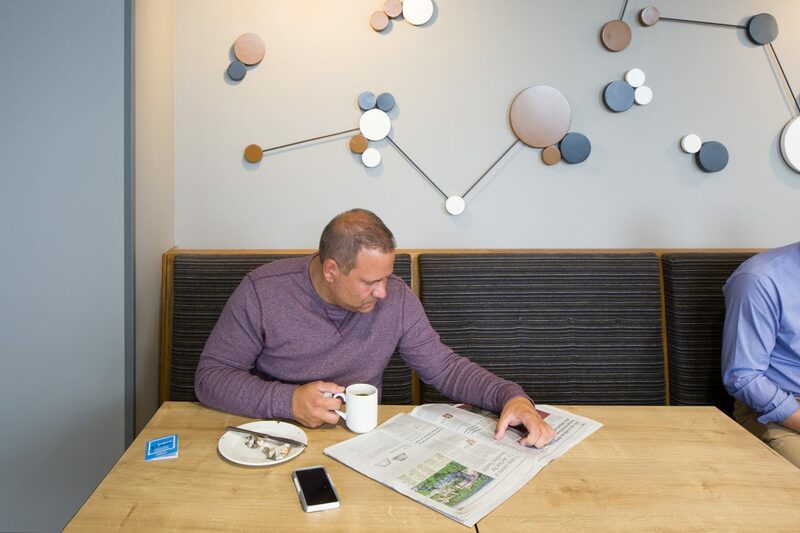 Partly on CIMC’s enthusiastic recommendation, the developer appointed Stride Treglown to manage planning alterations, design the non-standard architecture and interiors, undertake the BREEAM services, and coordinate the design. The Planning picture was complicated. 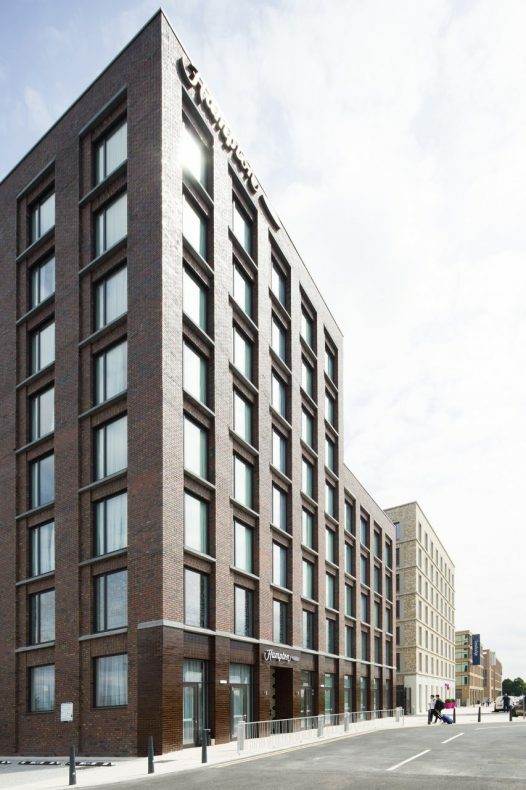 The consent included two other building on site as well as the Hampton for Hilton site, and so applications for critical amendments had to encompass all three buildings and not just the hotel, including matters about the building’s exterior design. The client was delighted with the final product. 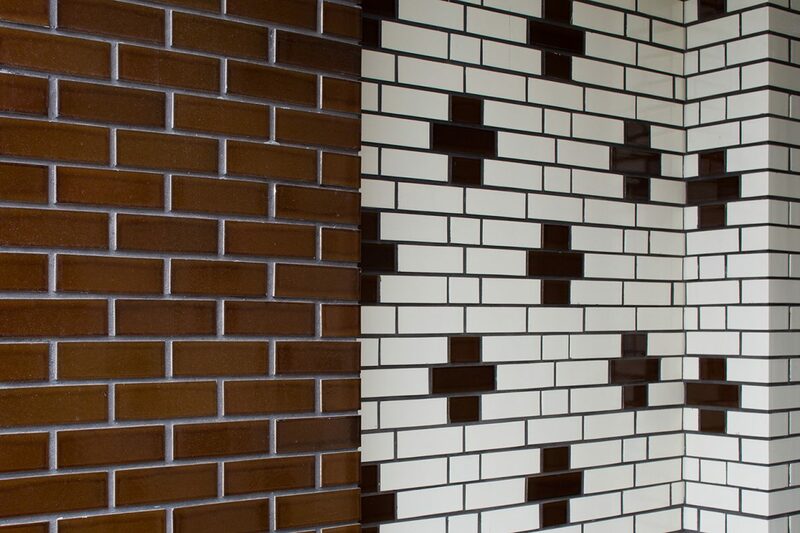 Two moves in particular added value for the client and improved the hotel experience for guests. First, we secured consent to replace the café with a 100-seater restaurant, cleverly reorganising the ground floor spaces to fit it in. 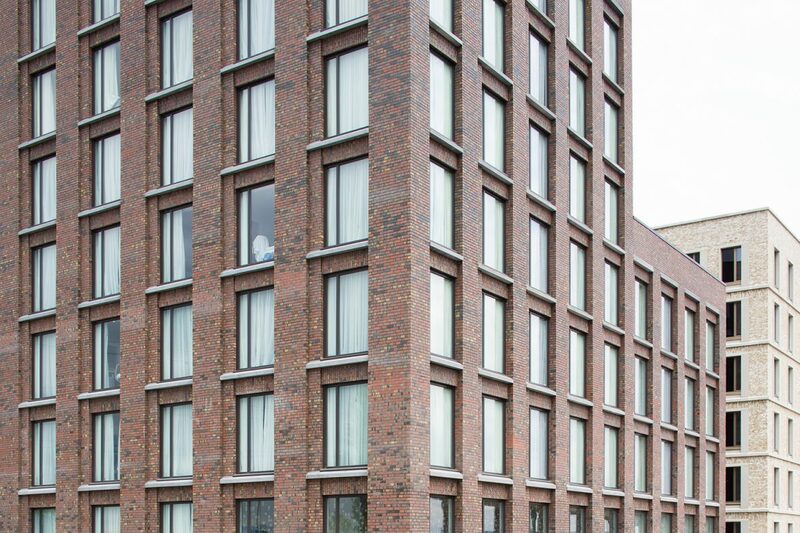 Second, they also secured a change of use consent for unwanted office space, replacing it with bespoke extra bedrooms. 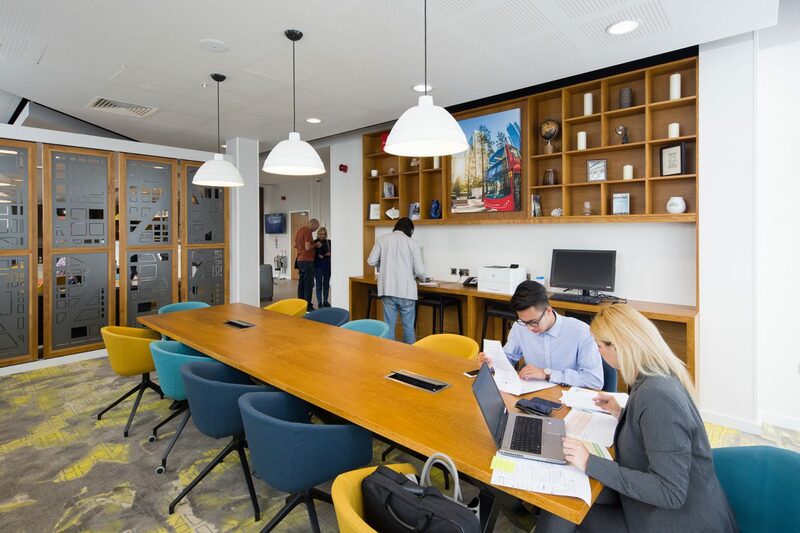 As part of the development, space that was consented for office use has been revised to become further bedrooms, meeting rooms and a separate full service restaurant. 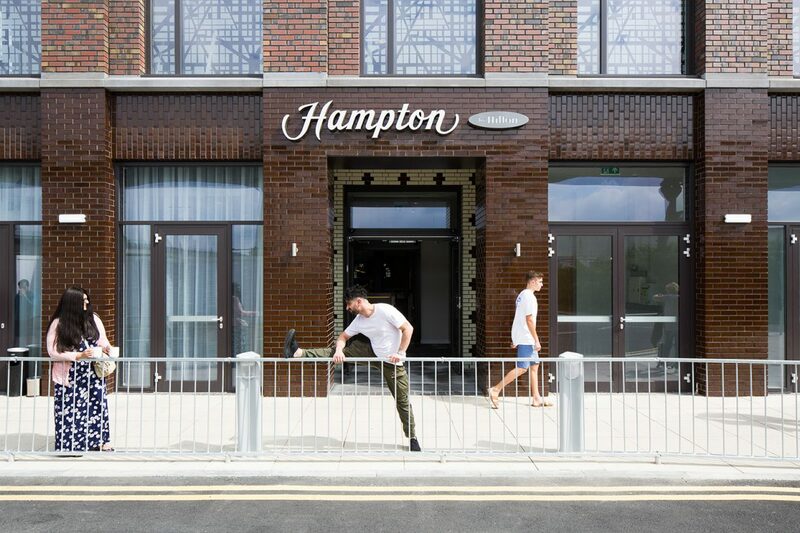 Newham Borough has a design-led development focus which has meant for a challenging process for building a budget hotel in the post Olympics era. Stride Treglown’s Sustainability team secured a Final BREEAM ‘Very Good’ rating for the hotel in March 2017, with particularly high scores achieved in the Materials and Waste categories. 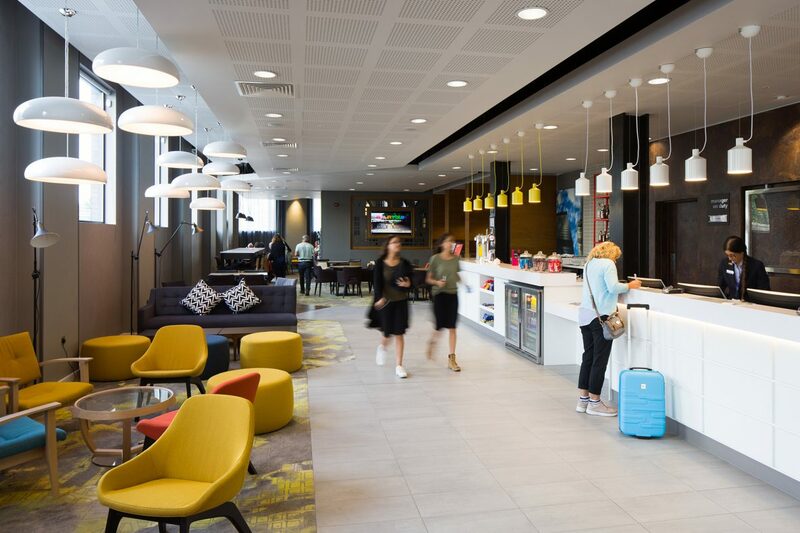 Stride Treglown’s architectural, interior, Sustainability and CDM-C teams were appointed post planning to deliver this scheme for London Dockside Limited, which is part of a wider consent for three hotels on the site – serving London City Airport and the Excel Centre. The design architect is Maccreanor Lavington. If you are attending, contact John, John or Yvonne to arrange a meeting. 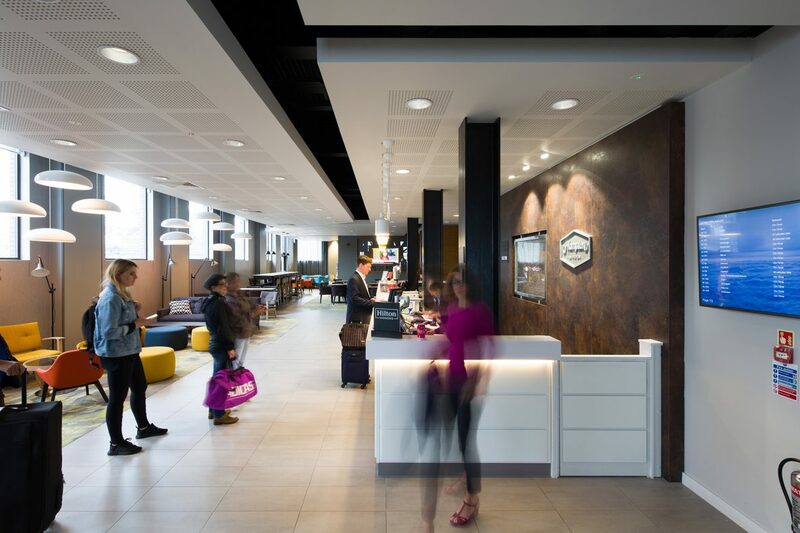 We ask how good, integrated hotel design can meet and build up customer’s expectations - now and in the future.